While a lot of people still swear by their consoles, it’s hard to deny the versatility of a gaming PC. Not only can you play lots of titles in single- or multi-player mode, but a gaming PC is going to have good enough performance to let you do other tasks too. Compiling programs, writing code, making videos, compressing or decoding large files – these are all things a console just won’t do. So how much do you have to spend on a new gaming PC? Check out our picks for the best gaming PC under $700. 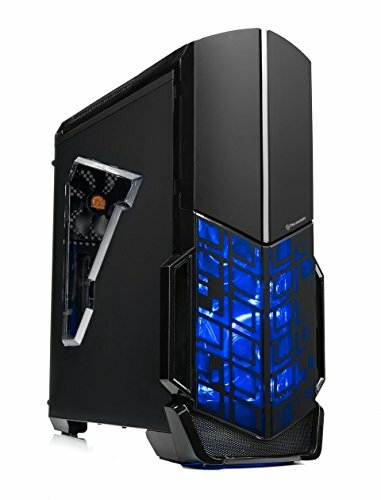 CyberpowerPC often comes up with very pricey gaming rigs with tons of lighting and high-end components. However, they also know a thing or two about throwing together entry-level gaming rigs. 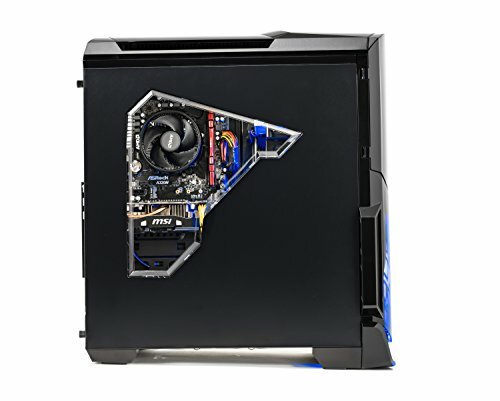 The Gamer Ultra GUA883 gaming PC is an AMD FX-6300-powered gaming rig. In fact, it’s a complete AMD system, the only one on this list. The graphics card is an AMD Radeon R7 240 2GB from 2014. According to most benchmarks, it is in the bottom half of gaming graphics cards but it’s still relevant today. The PC case has a glass side panel which means that you’re able to see the lit case whenever you’re playing. The downside is that there’s not much to look at except the lighting, as most components are OEM and don’t come with heatsinks, RGB lighting, or colored cables. Both the CPU and GPU on this system are medium-range at best. However, one thing that makes this system worth every penny is the memory. Although it uses DDR3 RAM, the PC comes with 16GB of it which is almost unheard of at this price point. Sure, some corners were cut to make this happen, like using an AMD instead of an Nvidia GPU. However, that extra memory – double what most PC builders offer – should help squeeze some more fps out of this entry-level system. Right off the bat, this gaming system looks exactly like a modern gaming system should. It has a wide window panel on the side so that you can see all the components inside. The lighting is already done for you and the dark red color makes the system look like a beast. In terms of performance, it’s a different story. Keep in mind that this PC is quite cheap. Therefore, it comes with an AMD FX-6300 CPU which is still relevant these days even if it’s old technology. The CPU has 6 cores and 6 threads which makes it pretty good for some games that know how to capitalize on multithreading. But since the CPU was released back in 2012, you shouldn’t expect too much, such as running 2018 or 2019 triple A titles. Most online games, however, will work quite alright. The GeForce GT 710 is not an amazing graphics card but can hold its own against some popular games like Fortnite and Overwatch. That is of course if you’re using the GeForce Experience optimization tool. The keyboard and mouse are nice to have and the keyboard is gaming-ready with the arrow and WASD buttons painted red instead of black for easy tracking. A Windows license is included, as is a 1TB HDD. Although the system can be overclocked to get around 4.1GHz from the CPU, that’s not advisable. Putting the CPU under stress is unnecessary, as both the CPU and the GPU are old and can’t give you a massive increase in FPS. Keep in mind that the system features 8GB of DDR3 RAM that doesn’t have heatsinks. If you factor in the low memory clock, there’s no point in overheating the system further. Why not add another AMD CPU to the list? Until Intel steps up and offers entry-level CPUs that match AMD prices, a lot of new gamers should probably consider rooting for the red team. 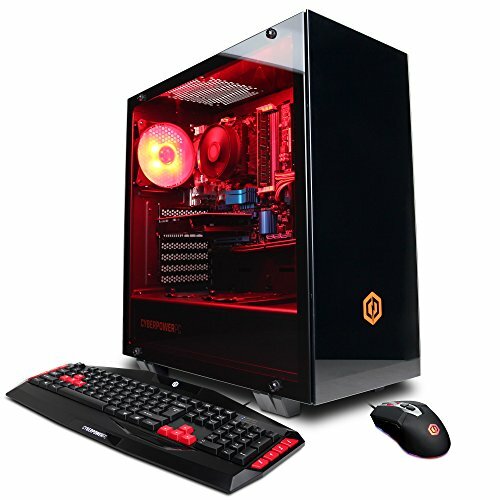 This rig is an interesting alternative if you’re looking for an AMD-powered gaming PC on the cheap. The Ryzen 1200 processor is unlocked and can be boosted to a maximum of 3.4GHz turbo. Now, keep in mind that it’s a 4-thread, 4-core CPU. It does a good job of running some triple A titles but it won’t double as a workstation. You won’t be able to play many games on max settings. But you can comfortably run games like Doom at medium settings and get 60 fps. Online titles like Fortnite, LoL, or Dota 2 should run smoothly on medium to high settings. What you probably won’t be able to run are CPU-hungry titles like PUBG. The GeForce GTX 1050 Ti is responsible for the higher price tag on this otherwise entry-level gaming system. Combined with 8GB of G.Skill DDR4 RAM running at 2400 MHz, the GPU can take a lot of the workload off the hands of the CPU. For storage space, you get a 7200RPM 1TB hard drive. But it’s at the motherboard where things take a turn for the worse. 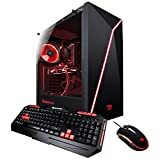 If you’re looking to buy a gaming PC that you can upgrade at a later date, this one doesn’t give you too much to work with. The system comes with an A320M motherboard which won’t allow you to upgrade to an AM4 Ryzen CPU. Not only that, but the board is OEM so it doesn’t have good overclocking capabilities either. A nice touch though is the Windows 10 Home 64-bit license which saves you the trouble of buying your own copy, if you don’t have one already. Are you’re still looking for the best gaming PC under $700? No problem. There are plenty of entry-level gaming rigs that can handle modern titles. You just can’t be picky about the graphics settings or always enjoying 60 fps. However, in order to get the best bang for your buck at this price point, you should aim to get your hands on a gaming PC based on an AMD processor. It could be something from the FX series or the first-gen Ryzen series. There’s no need to go for the AM4 processors just yet.